After much anticipation, the New Nissan Altima is now finally in El Paso, TX and is sure to live up to the expectation. It’s no wonder that people in El Paso, Texas kept calling the local number one Nissan dealer, Casa Nissan in anticipation of its arrival. Its high-quality components, innovative technology, and unsurpassed comfort are merely the highlights of a foundationally amazing car. See for yourself why there’s so much to love about the new Altima! 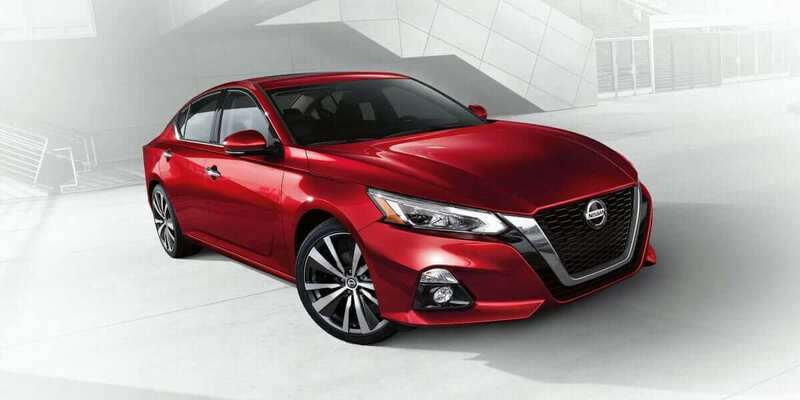 You can be reassured you will turn heads wherever you go in a new Nissan Altima, thanks to a uniquely sleek and modern style, flashy trim and the gorgeous front-end design are all sure to catch anyone’s eye in admiration. Beneath the hood’s surface is where the magic happens. Here lies even more compelling reasons to jump into an Altima. With options such as the world’s first production variable compression Turbo, you get the power of a V6 and efficiency of a 4-cylinder. From excellent horsepower with a multitude of optional engine upgrades to high-tech devices that let you fully control the road, this is a machine for true driving aficionados. The new Altima doesn’t sacrifice power for efficiency, either; an excellent city and highway MPG saves a buck without sacrificing power. Enjoy more of the road without tapping into your wallet – at least compared to other sedans. Driving a new Altima allows you to soak in the driving experience without concerning yourself with unfavorable road conditions. Improved electronic systems enable the driver to safely and comfortably travel wherever their heart desires. Automatic emergency brakes prevent dangerous collisions with nearby vehicles, especially in bumper-to-bumper traffic. Accidents can still occur, but your Altima has your back when that happens. It will inform the authorities of the collision automatically so you can focus on staying safe. The new Nissan Altima sports high-tech warning systems. Blind spot sensor devices will keep you safe when other drivers are acting recklessly. You can also back out of parking spaces with peace of mind with an excellent rear traffic sensor. There’s room for personalization with custom alerts for the occasion. Set notifications when you enter geographical areas, reach certain speeds, and curfew alerts for your teenagers looking to get out on the road. Additionally, Nissan’s Altima features a driver assist display on your dashboard for ease of viewing. It can display nearby vehicles and even show visual directions on your route. The display also boasts essential information about your car, including tire pressure. Never be misinformed about your Altima with its high-tech assistance interface. Nissan’s smartphone integration technology makes life within your favorite vehicle easy and convenient. More states across the country are making hands free phone devices mandatory; Nissan anticipated this and made large strides to stay ahead of the game. One of the major accomplishments for Nissan was the implementation of Nissan Connect which practically allows Altima owners a large array of features with the simple use their smartphones. Need to lock or unlock your car from a distance? Want a warm car to immediately hop into during cold seasons? Will flashing your lights or horn help you find your car in a crowded parking lot? Your Altima can handle all of these tasks for you after you connect it to your smartphone. Why not make your life easier with Nissan Connect! Nissan vehicles are known for excellent attributes. Interior design is among that list, especially when it comes to the new Altima. Dozens of luxurious features come together to create comfortable seating for five passengers and an unforgettable driving experience. The Altima’s seats are among the best available in a sedan. Each provides high-end, cushioned support to reduce driving fatigue. Seats are modeled after zero gravity conditions for maximum support even around the tightest corners. Fully tailor the chair’s position and posture with its multitude of seat adjustment controls to ensure absolute comfort. Accurate and on-demand navigation systems will ensure you’ll never get lost or drive around in circles again. Additionally, you’ll never need to take your eyes off the dashboard for navigational information. The visual display near the speedometer will inform you of everything you need to know about your route. Do your passengers prefer a different climate than what you’re accustomed to? Everyone will enjoy the Altima’s dual-zone climate control with intelligent temperature monitoring capabilities. Each section of the car can be comfortable in their preferred temperature without stepping on anyone’s toes. Front row seats can also enjoy heated seats and the driver will enjoy their heated steering wheel during cooler seasons. Finally, the Bose sound system provides incredible audio quality. Never miss another word during a phone call or podcast and savor every note of your favorite songs. All of these features, and more, combine to provide an amazing driving experience anyone can enjoy. The Nissan Altima is nothing if not a very safe vehicle to drive. One item in its large suite of safety features, the Vehicle Dynamic Control, keeps you securely on the road during sharp turns. Another is the advanced traction monitoring system that adjusts vehicle parameters on the fly to keep you in total control. Advanced braking systems adjust based on weight distribution in the car and prevent tires from locking. On top of all of that, and six airbags surrounding the interior, is the LATCH child restraint system to keep your entire family safe. If you’re in El Paso, the New Altima Nissan is most definitely for you. Reach out to Casa Nissan today to schedule a test drive and we’ll bet that you’ll be headed home later today in a New Nissan Altima in El Paso Texas.